The village of Johannisberg is situated in the region Mittlerer Rheingau (middle Rheingau), not directly on the Rhine but slightly above the river, right on the 50th parallel. 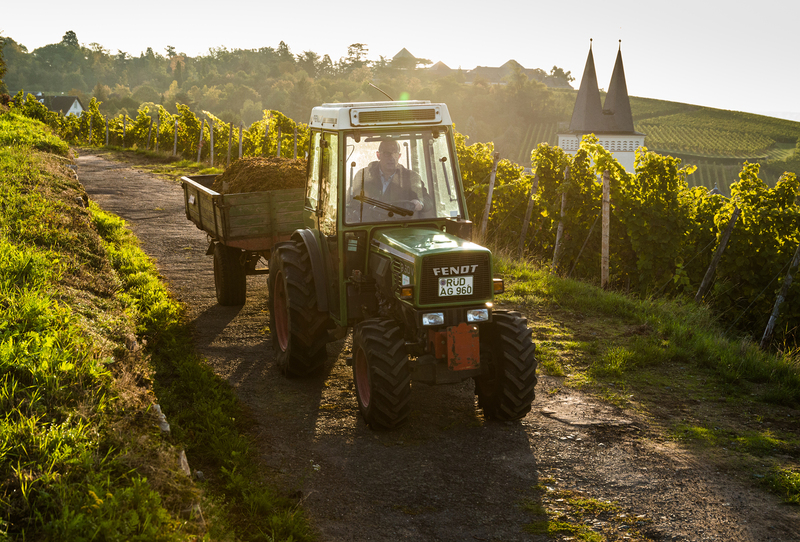 Here, on the clearing border of the Taunus forest, we cultivate our roughly 12 hectares of vineyards at an altitude of up to 220 m.
Alongside the quartzite soils that are characteristic for Johannisberg, the unique microclimate of our vineyard sites in the hills makes one of the most important contributions to our Riesling. Owing to the pronounced differences in day and night temperatures, the grapes’ flavor becomes inimitably intense and multi-faceted. And by putting an effort into careful and well-planned soil management, we add additional harmony and balance to our wines. The quality and style of our wines is chiefly the result of our work in the vineyards. 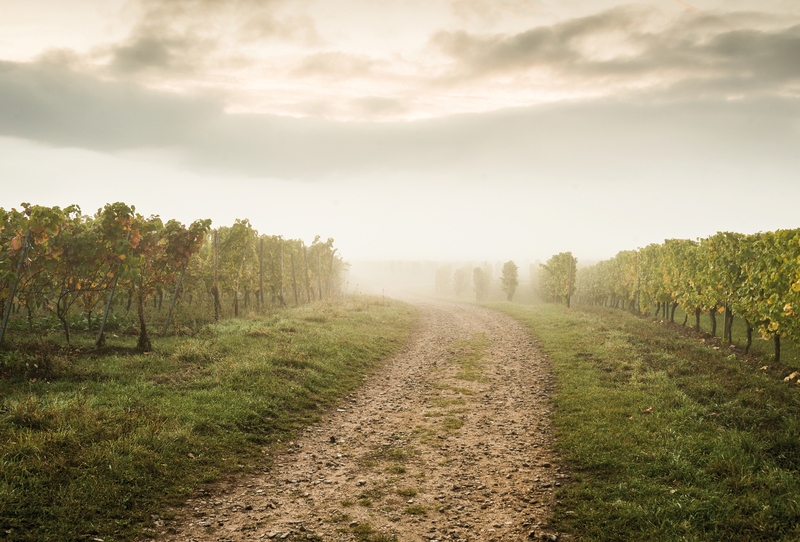 We know our vineyards and soils inside out and provide them with optimal care. Long before it became fashionable, my father had already taken up many ideas and managed the soils in a very intelligent way. Never too much, never too little. 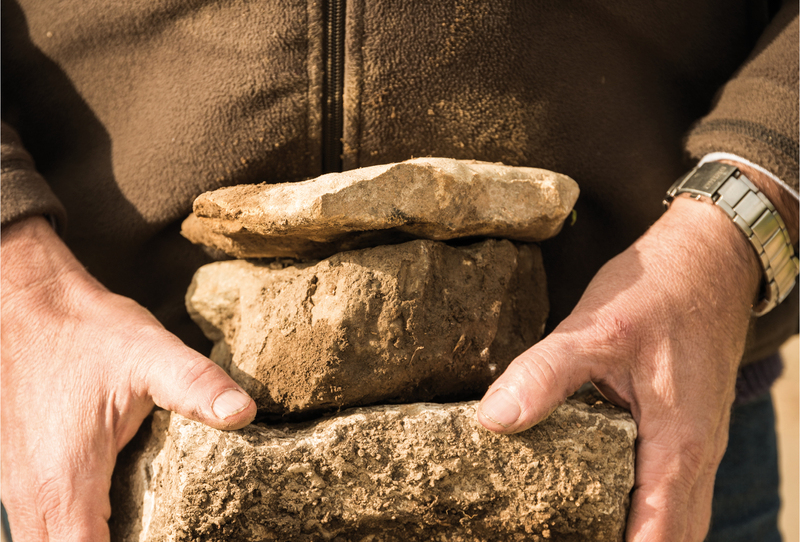 You don’t get healthy soils in the blink of an eye – this is the labor of many years. There is hardly any place more closely linked to the history of Riesling cultivation than Johannisberg. The municipality was first mentioned in public records as early as 817, and in 1775 the Riesling Spätlese was invented here. Committed to this tradition and conscious of Riesling’s outstanding characteristics, we mainly focus on this grape, which is the Rheingau’s classic showcase variety. 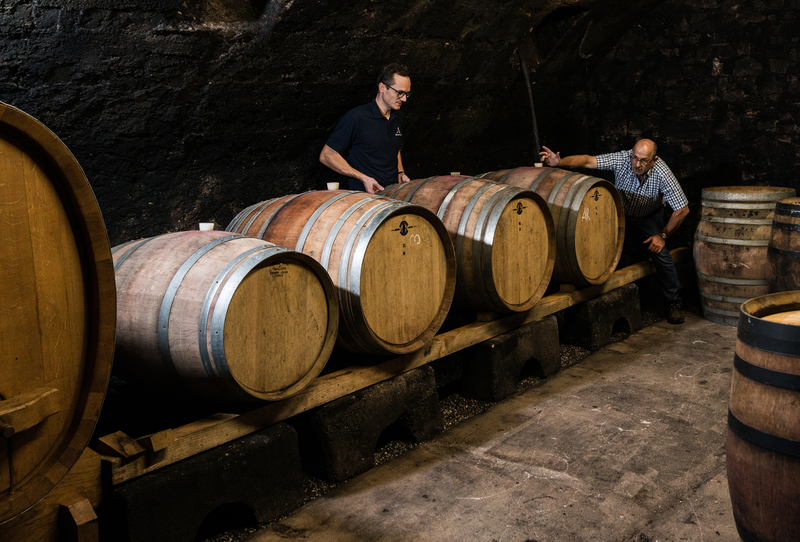 The climatic and geological environment of the Rheingau is optimal for Riesling and makes it possible to fully exploit this grape’s potential and create a unique range of wines. This includes perfect wines for everyday enjoyment, great dry and semi-dry premium variations and the choicest noble-sweet wines. 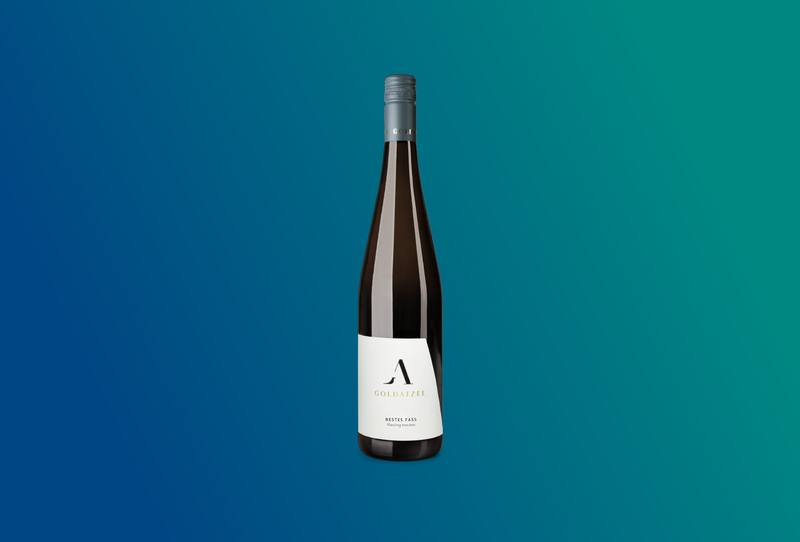 In all this, we are chiefly dedicated to bringing out the wines’ signature Rheingau character: fine, elegant fruitiness and a great straight-forward profile. In addition, we took the most noble of all red wine varieties into our hearts many years ago: Pinot Noir. 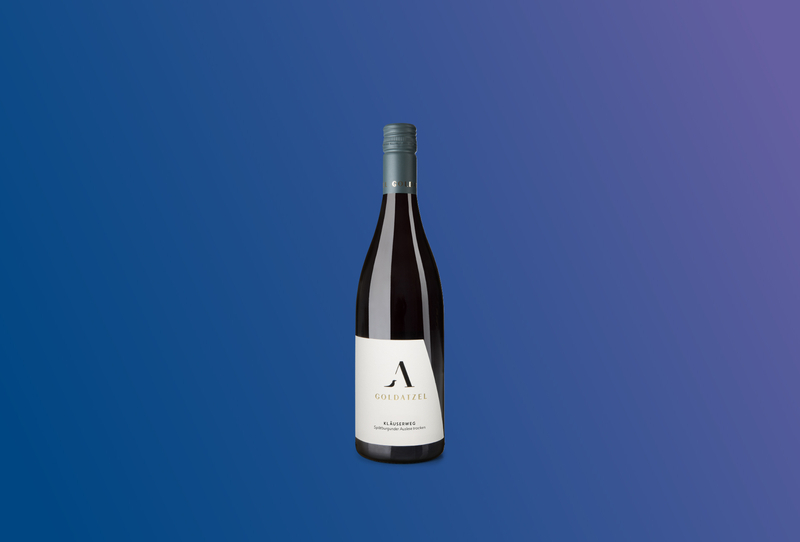 Owing to the recent changes in climate, this grape variety, which used to grow only on the steep vineyard sites of the Untere Rheingau (lower Rheingau), now also gives us very sophisticated, delicate and silky red wines of smooth power and substance in this region. In the mid-1970s, we started to cultivate Pinot Noir, which is our second major grape variety alongside Riesling now. For 20 years, I dreamt about being able to harvest a Pinot Noir Spätlese. And then , since 2003, we have sometimes been able to achieve the even higher quality Auslese. Since a wine’s quality and character originate in the vineyard, we place the greatest emphasis on working our vineyards in a fashion that is in harmony with nature and demonstrates a strict focus on quality. We completely eschew the use of copper and botryticides, and we forgo herbicides whenever possible. In order to protect the vines from great stress and keep our sometimes meager soils fertile, we traditionally add valuable compost and manure. Between the rows of vines, adapted to the location, we grow special green covering that protects the valuable humus layer. Thus our vines are nurtured by fertile soils and have the energy to let their grapes ripen without stress. 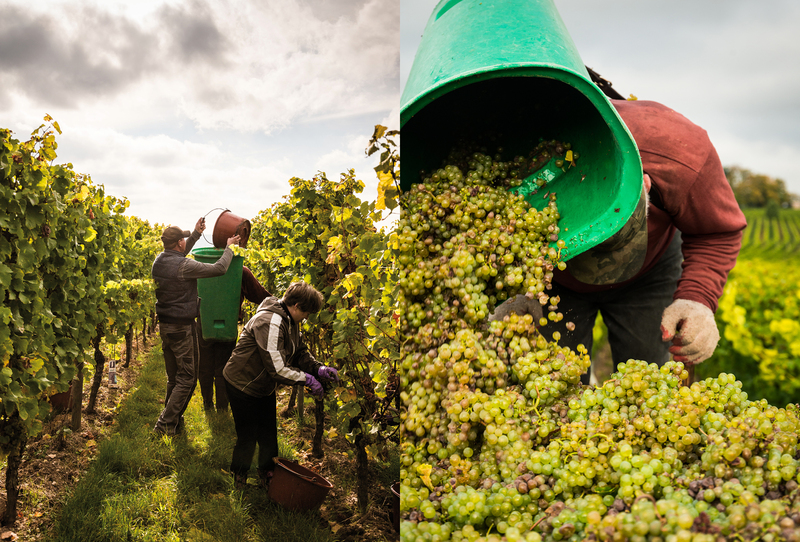 We are highly committed to treating grapes, must and wine as gently as possible. Our first reason for this is that we don’t want anything to get lost in the vinification process. 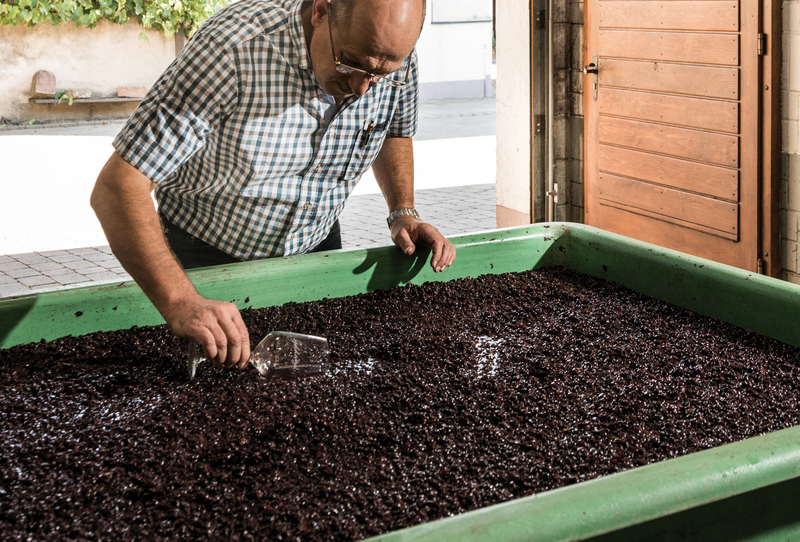 Instead, we want our wines to preserve every facet of their vintage, their origin and their grape variety. 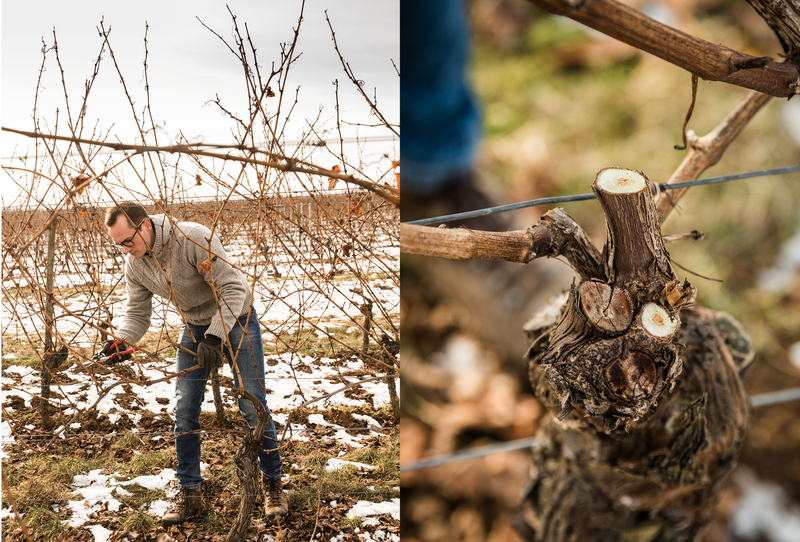 The second reason is that our sheer respect for nature’s unpredictability, for the old vineyards and for our craft simply commands us to do so. We handpick our grapes and often do this quite selectively, meaning that we go through our vineyards several times in the course of one harvest. 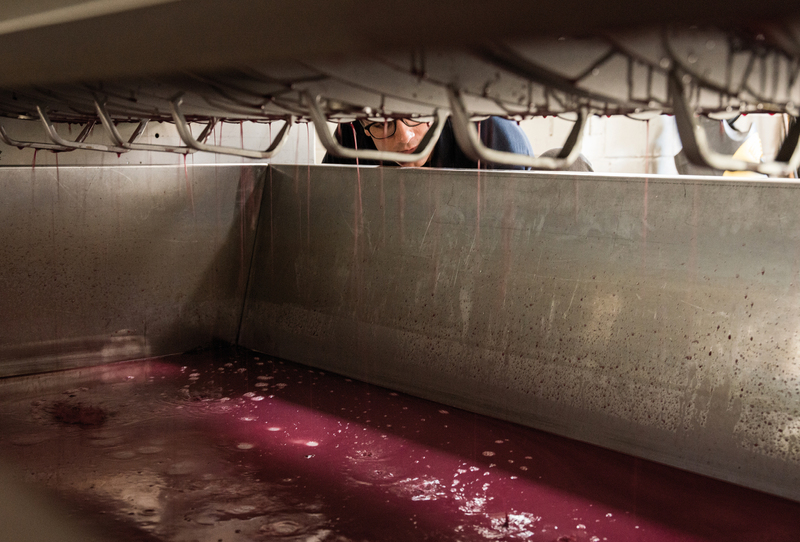 In the cellar, the grapes fall into the press by gravity without having to experience any more mechanical strain, and they are pressed, yet again, in a gentle and time-consuming fashion. After the musts have been allowed to rest for a while, we excitedly await the onset of fermentation. We do not interfere with the fermentation process. Consequently, it may take any amount of time between a few weeks or a couple of months, either in stainless steel tanks or in traditional wooden barrels of 1200 liters, the so-called Stückfass. The latter depends on the style we are aiming for. Our main target is to keep the genuine character of each vintage as intact as possible. The longer a grape stays on the vine, the more flavorful it gets. However, if it is hit by foul weather, everything may be lost. It’s a game of taking risks and having patience. And that’s my life, year after year. All effort culminates in the product – and I have to be able to enjoy the wine. I have never bottled any wine that I would not have enjoyed drinking myself.